My name is Kimberly Nicole (aka Nikki) and I'm a wife, mother, grandmother and full-time lampwork glass artist! 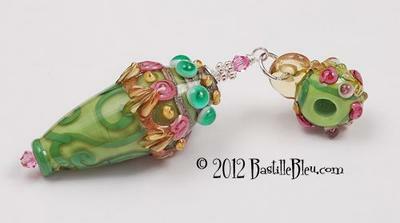 I make all my glass beads in my studio in Milwaukee, WI. 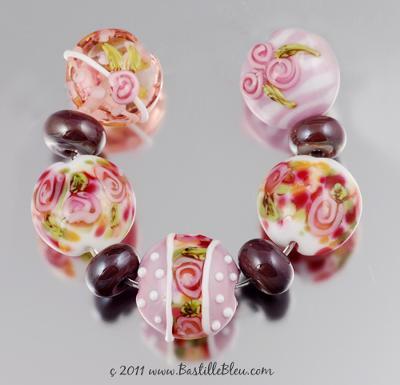 All my glass beads are made with great care, time, skill, and attention to detail. I take pride in my work so that you can take pride in designing and wearing it! I'm also a registered member of Self Representing Artists (member SRA #R67), Self Representing Artist Jewelry Designers (SRAJD mbr# 2852), and a member of the International Society of Glass Beadmakers (ISGB #P7942), Lampwork Etc forum, and Etsy's Wisconsin Street Team (WIST Team). Not only do I sell my glass beads but I use them in designing my own jewelry. 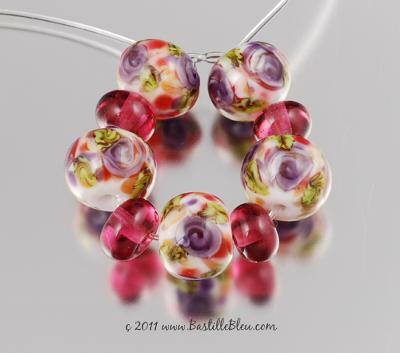 So, if you see a bead set you like and would like to have something created for you .... simply email me (bastillebleu@wi.rr.com), I'd LOVE to hear from you and make something fabulous for you! Payment is always due the "SAME day as purchase" and I gladly ship Internationally. I really enjoy meeting new people and being in touch with those who enjoy and buy my beads! My facebook page is my "connection" to my online friends and fans. 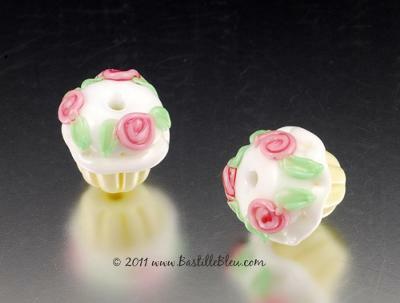 It's where you can get a glimpse of the newest bead sets/pairs straight from my kiln and also chat with me daily! I've purchased a few sets of Nikki's beads and they're all gorgeous! As you can see from her photos (and the one of her beads that I put on the Lampwork Glass Beads page) she uses a wide variety of techniques, colors, themes, etc. All of them beautiful, all of them fun to work with...and all of them hard to part with!! Ok confession time...I kept a set to make something for myself :D It's ok though...I plan to buy lots more. You will definitely not be disappointed with the quality of Nikki's beads and she's a delightful person, too! Thank you so much, Nikki, for sharing yourself and your work. I can't thank you enough for your truly generosity in hosting a page for me on your site! You are an inspiration and an incredible woman!